The Junior program is held in the same classroom as our Parent and Me program, allowing children who continue in the program the advantage of feeling comfortable with the classroom, teachers, and materials. The Junior program exceeds the DCFS (the Department of Children and Family Services) adult to child ratio of 1:10 by providing three teachers plus one parent helper every day for a maximum of 20 children (1:6 ratio). We feel this is critical to help meet the needs of all children and provide individualized attention. The children can explore, investigate, and manipulate a variety of materials that support the weekly theme. The room is set up with child sized cabinets that are clearly labeled, allowing children the opportunity to independently select their activities from a variety of materials. If you are interested in attending our Junior program, would like to visit a class, or would like additional information, please feel free to contact the Director and she will be happy to speak with you. Arrival: Children and their parents are greeted at the door by the teachers and personally welcomed into the room. Each child has their own cubbies labeled with their name and picture, and are encouraged to hang their own bag and coat. In accordance with DCFS, children wash their hands upon entering the room. If needed, parents can help get their child settled before leaving to ensure a smooth transition. Many parents establish a routine to help make the transition smooth and predictable (for example, parents will read a story or participate in an art project together before leaving). Free Choice Time: The children can freely move about the classroom and participate in a variety of self-selected activities in each area of the room, including the following: Block Area: The children can participate in building and constructing in the block area with wood unit blocks, transportation vehicles, street signs, and other related items. This is a social area that encourages children to work together, problem solve, and develop their own understanding of the world around them. It also incorporates various math concepts, including shape recognition, understanding the part to whole relationship, and spatial awareness. A variety of literacy tools are also incorporated, including reading train schedules, maps, blue prints, and tickets for children to act out real life experiences. Dramatic Play: The children can participate in dramatic play with a kitchen set, dishes, real cooking utensils, cookbooks, and pots and pans. A variety of clothes are available for children to wear in creating various scenes or dramatic events, including aprons, construction hats, firefighter uniforms, and sports coats. This is also a social area with rich language experiences for children as they communicate and work with each other to create various roles, scenarios, and dramatic situations. Literacy Corner: A variety of books are available for children to read, either by themselves, with their peers, or together with an adult. Comfortable furniture, including a child sized couch, child sized rocking chair, and a bean bag allow children the opportunity to snuggle up with a good book. Books in the library often include books that reinforce the weekly theme, but also contain books that provide good picture cues, rhyming words, or repeating words, which are all critical elements in pre-literacy development. Math and Science Area: Students can explore, investigate, and experiment with a variety of elements in nature in the math and science area. Materials may include: magnifying glass, leaves, patterning cards, shells, pine cones, and various manipulatives for sorting and classifying. In this area, children are exposed to a variety of math and science concepts, including patterning, matching, the life cycle, and the four seasons. The class fish is always a popular item for the children to visit. 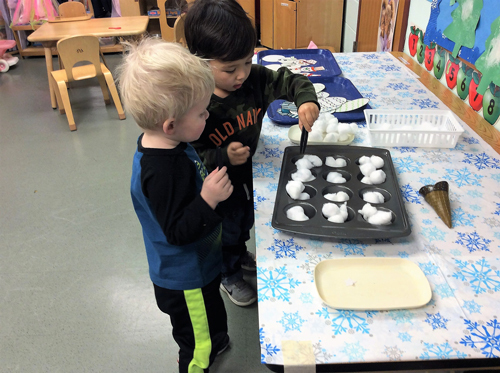 Fine Motor: Children can strengthen the muscles in their fingers and hands (critical for writing and cutting development) with a variety of sensory materials, including home made playdough, silly putty, shaving cream, and flubber. This is a wonderful science activity as students learn about how solids and liquids mix to create a whole new substance. In addition, this is an excellent literacy activity, as children follow a process and the proper recipe with measurements. There is also a lot of rich language being used as children describe how these substances feel on their hands and experiment with a variety of supporting materials, including cookie cutter, rolling pins, and scissors. Art Area: Children can work with a variety of art mediums at the art table. They are encouraged to use their imagination and creativity while working with a variety of artistic elements, including watercolors, tempera paints, collage materials, printing, and using marbles, cars, and household items in paint. Sensory Bin: Concepts of conservation and measurement are explored in the sensory bin. Children can work with a variety of materials, including water, corn kernels, hay, leaves, rice, and pasta in the bin, using sifters, water wheels, shovels, and buckets. Materials are changed to reflect weekly themes. Clean-up Time: Our five more minute song alerts children that self-selected time is coming to an end. Our clean-up song lets them know that all materials need to be put away. Children learn to work together with their peers and their teachers to accomplish their goal of cleaning up. Rug Time: Children meet on the rug for a brief circle time which includes a variety of music and literacy activities. The children can participate in fingerplays, flannel board stories, and storytelling to help develop the weekly theme. The children can also participate in musical activities including singing, movement/dancing, and playing instruments. During this time, the children are developing listening skills, extending their vocabulary, increasing their attention span, and promoting oral communication. Snack: (Open for the child at any time during free-choice time): Snack is brought by the parent helper for the day (see our Snack Guidelines page for DCFS guidelines) and placed in baskets for the children to serve themselves at any point during self-selected free choice time. Snack selections will be self-limiting by number cards placed in each basket, indicating how many of each selection the child may take (i.e. : a number 4 card can be placed in the basket with crackers and 2 card with the basket containing cheese slices). These cards are a wonderful tool for literacy, number recognition and understanding 1 to 1 correspondence. Snack time is created to allow the child the power to decide when to have snack and the independence to serve it themselves. After hand washing, the child removes his/her name from the snack chart, promoting name recognition and is a meaningful literacy tool, and then is able to serve themselves. Outdoor Play: Weather permitting, the last 15 minutes are spent outside at the Irma Butler Toddler Park, right outside the Preschool. The park contains age appropriate climbing equipment with slides and a see-saw. Other materials, including bubbles, chalk, or shovels for snow, are brought out to enhance their outdoor play. The Senior class builds upon the foundation established in the Junior class and continues to provide meaningful experiences to help foster the development of the whole child. 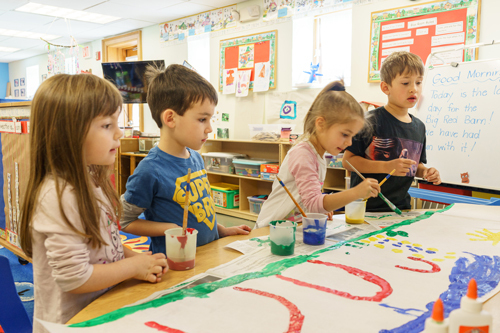 The senior teachers create a warm, nurturing, and inviting environment, while adding additional academic elements, age appropriate materials, and hands on activities that foster development across all domains. The classroom gives children the opportunity to initiate their own learning, make choices, work independently, and learn to problem solve in a social environment. The environment and activities in the classroom promotes independence, creativity, and a love for learning that will give children a feeling of success in school. A kindergarten teacher from the Hinsdale School district #181 serves on our advisory board, and has worked with our teachers to assure that children are participating in a curriculum that helps prepare them for kindergarten. Our child to adult ratio exceeds the mandated 1:10 ration required by DCFS, with 3 teachers and 1 parent helper daily for a maximum of 20 children (1:6 teacher to child ratio). This allows the teachers to work closely with the children and provide valuable individualized attention. Arrival: The teachers always greet the parent and child at the door to welcome them into the class. It's a wonderful opportunity for children to share events from home with the teachers and to be personally welcomed to the room. The children must wash their hands upon entering the classroom as regulated by DCFS (the Department of Children and Family Services). Calendar Time: When the teacher plays a short gathering song, the children meet on the rug for a short morning group time. During this time, the children help the teacher count fellow students as they take attendance and again greet each child individually by name. 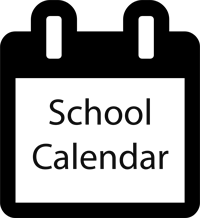 In addition, the children help with the calendar time, putting up that day's number on the calendar, determining the day's weather, recognizing the patterns of the calendar pieces, and determining which weather pattern (sunny, snowy, rainy, windy, etc) has occurred the most and the least throughout the month. It's a wonderful opportunity to work on not only the days of the week and months of the year, but also the math concepts of patterning, greater than, less than, graphing and rote counting. 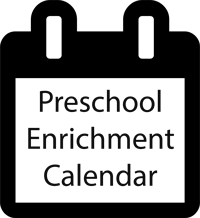 Free Choice Time: The teachers work diligently to rotate the materials in the classroom to reflect and reinforce the weekly theme, concepts interests and development of the students. The room is divided into various areas for the children to freely select where they would like to work and explore. Art Table: The children are free to participate in an art project that changes daily and coincides with the weekly topic. Children can use their imagination and creative minds when using a variety of art mediums, including finger painting, color mixing and three dimensional construction. It is an opportunity for children to also explore with mathematic and science concepts such as mixing primary colors, symmetry, patterning, and shape recognition. Natural elements, such as leaves, pine cones, corn cobs, beans, and vegetables are also used for artistic collages. Creative/Writing Table: This area provides an assortment of art and writing materials, including pencils, tape, glue, stencils, crayons, markers, and scissors. The children are free to let their imaginations guide them in using any of the supplies. In addition, the children have their own journals to draw pictures and dictate stories in that can be shared with the whole class. Some materials are changed weekly, again based on the thematic unit. Math/Small Manipulative Table: This area is used for playing games, math activities, working on puzzles, or investigating other small manipulatives, including magnets, dominoes, and measurement tools. As with the rest of the classroom, the children are free to use any of the materials in a nearby shelf for this table. It is a wonderful opportunity for children to work on social skills such as turn taking and establishing rules for a game, mathematical concepts such as number recognition, 1 to 1 correspondence, and matching/patterning, and scientific concepts including understanding how magnets work. Playdough/Fine Motor Table: A variety of sensory materials are available for the children to create and work with, including homemade playdough, silly putty, or flubber. This is a wonderful opportunity for children to strengthen the muscles in their fingers and hands that are essential for fine motor control and development (those used in writing and cutting). It is also provides children with a variety of science concepts, including how matter changes from dry solids to a new liquid substance and illustrates the process of creating silly putty. It also provides a rich language experience as the children use language to identify how these various materials feels on their skins. Additional materials are also added to this area to reinforce specific thematic units, including scissors, variety of cooky cutters, or other household items. Recess bin: This sensory bin contains a variety of materials for children to investigate, including water, corn, rice, and leaves. The bin offers children the opportunity to experiment with math concepts such as volume and laws of conservation, as well as sifting and hand/eye co-ordination as children pour the materials into various containers. 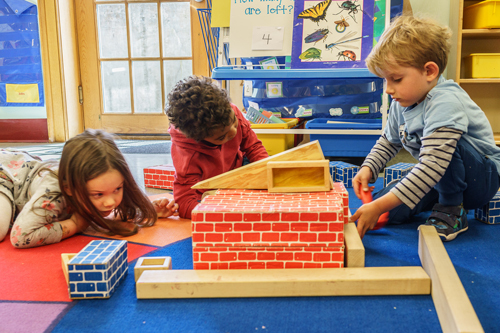 Block Area: Large wood blocks as well as small unit blocs are available for building, constructing, and acting out dramatic play. Materials are incorporated into this areas to help support various themes, including fire hats and gloves during "Fire Safety and Prevention". Unit blocks are an introduction to numerous math concepts, including recognizing shapes, understanding the part to whole relationship of fractions (2 squares to together equals one rectangle), and spatial awareness. It is also a very social area, which encourages children to work co-operatively, problem solve, and use their imagination to create dramatic play. Dramatic Play Area: This area routinely has child sized kitchen furniture to promote co-operative play, sequencing, and creating a situation to be acted out. This area also changes to become the HCP Bakery, HCP grocery store, HCP post office, and HCP hospital to support other curriculum topics. As in the block area, it is a social area that promotes co-operative learning, problem solving, and using language to understand the world around them. Clean-up, "library time", and opportunity for bathroom use before outdoor play: Children help in the process of returning all the materials they used during free choice time. All materials are kept in child sized shelving units that promotes independence in selecting various materials and returning them upon completion. Once the room is clean, the children meet on the rug for quiet reading time with independent reading. Books are selected each week to support the weekly theme or specific concepts that the children have been working on. Rug Time: The children and teachers gather for a variety of literacy activities, including flannel board stories, fingerplays, reading stories. In addition, various music and movement activities, including singing, instrument playing and dancing are included. During this time, the students can also share reflections of the day's events, including predictions of various science experiments or discussion of what was seen at a field trip. Outdoor Play: Weather permitting, the children spend approximately the last 15 minutes at the Irma Butler Toddler Park developing their gross motor skills as well as their social skills. Small Groups: Small groups are an additional activity that is done at the end of the morning/afternoon on Tuesday, Wednesday, and Thursday. They are an opportunity for the teachers to work with the children in small groups of 5 or 6 to explore the various educational domains i.e. literacy, science, cognitive skills focusing on "kindergarten readiness" and fine motor development. The children stay together with the same group of children and rotate through each group during the week. 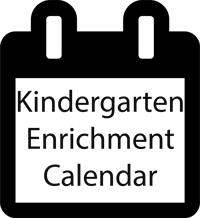 Cognitive skills focus on "kindergarten readiness" activities such as name recognition, counting with one to one correspondence, letter recognition, and cutting skills. The literature group reads and discusses a variety of quality literature and flannel board stories, acts out stories and works with poetry and rhyming words. Field Trips: The senior class attends a variety of field trips and is an extension of the themes the children have been studying. Field trips vary year to year, but usually include visiting the Hinsdale Fire Station, Graue Mill and Lakeview Nature Center. Parents volunteer to carpool and attend the trip to maintain a safe adult to child ratio. Birthdays: The senior class celebrates birthday and half birthdays for the children with summer birthdays in a number of ways. At group time the child makes a birthday cake flannel board story. Parents and their child are encouraged to bring a special book to read to their classmates. In addition, parents are encouraged to help their child create a pictorial timeline of their child's life, by creating a poster with 1-2 pictures of the child from each year of their life. The child gets to share this poster with the class during the group time, giving them an opportunity to share unique experiences with his/her classmates and to help his/her classmates learn more about the child. If you are interested in attending our Senior program, would like to visit a class, or would like additional information, please feel free to contact the director and she will be happy to speak with you.